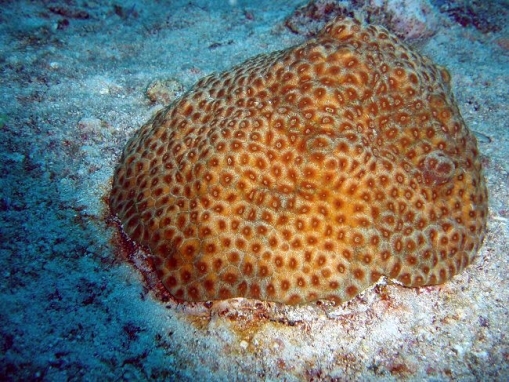 Colonies are commonly quite small, up to 50 cm across, sometimes conical, and sometimes taller than they are wide, (But in shaded and deep habitats colonies form thick crusts instead). 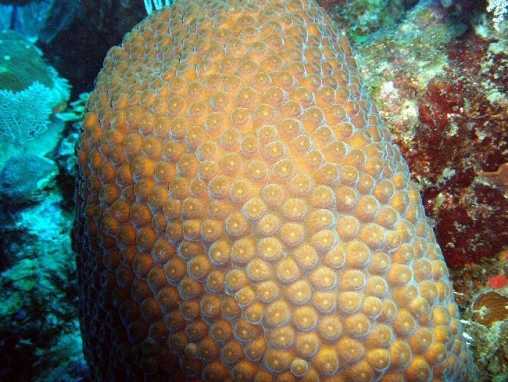 The colonies generally do not reach the large sizes of other Montastraea species. 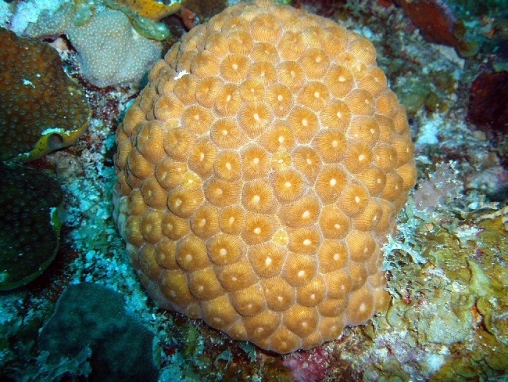 Their calices are much (2-3 times) larger than in other Montastraea species. 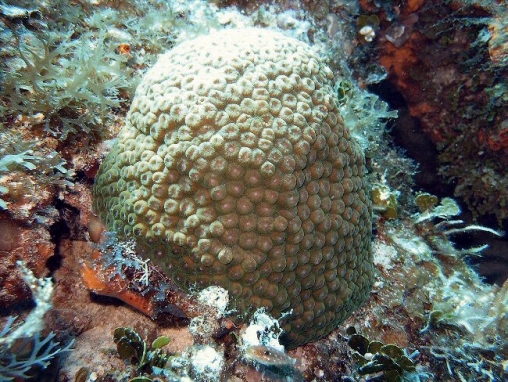 Calices are large (about 0.5 to 0.75 cm or more in diameter), clearly separate and conical, and divide with extratentacular budding. 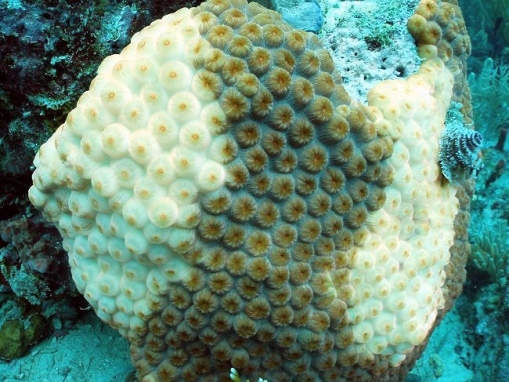 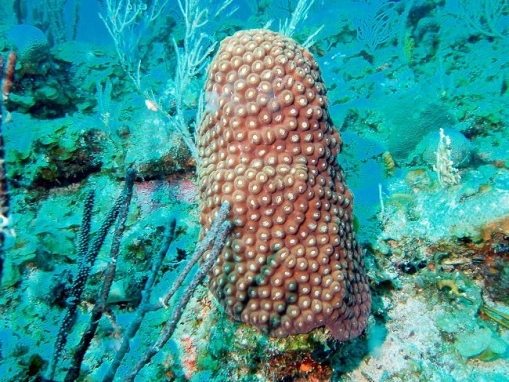 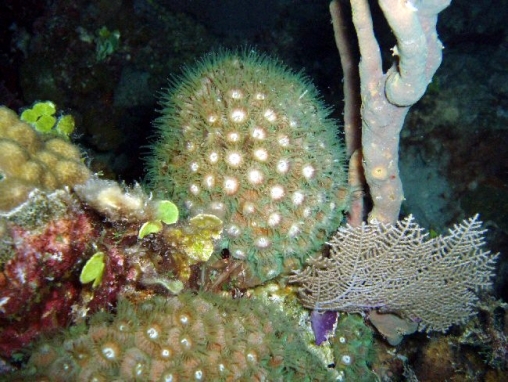 Polyps may be slightly fleshy or puffy in appearance during daylight, and tentacles may occasionally be extended. 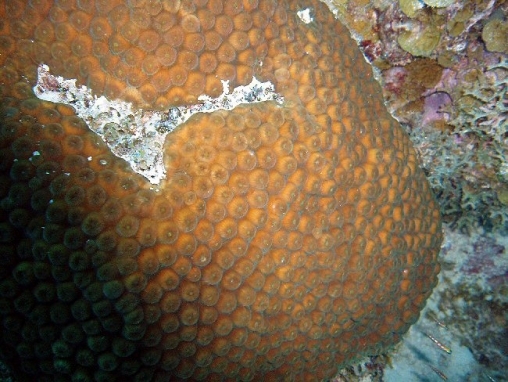 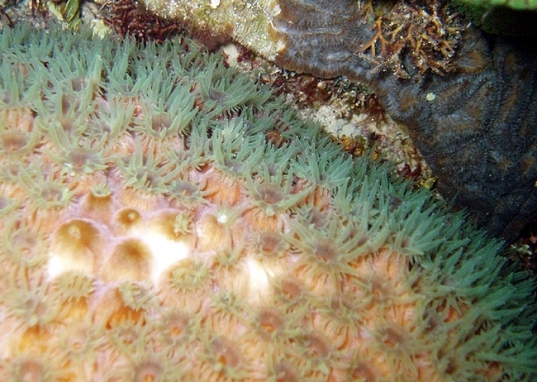 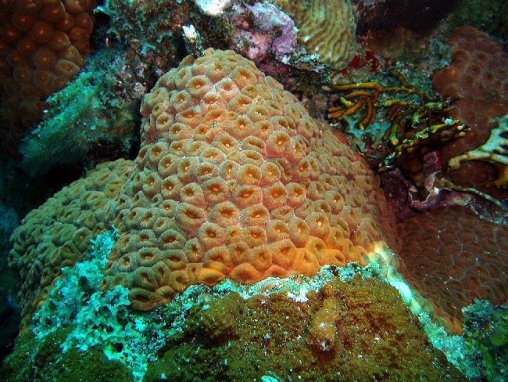 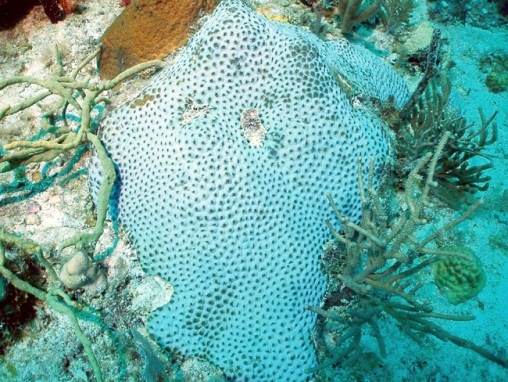 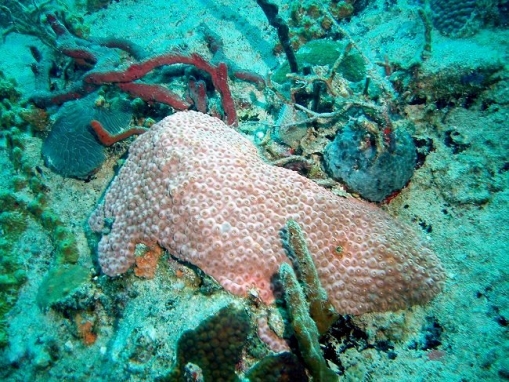 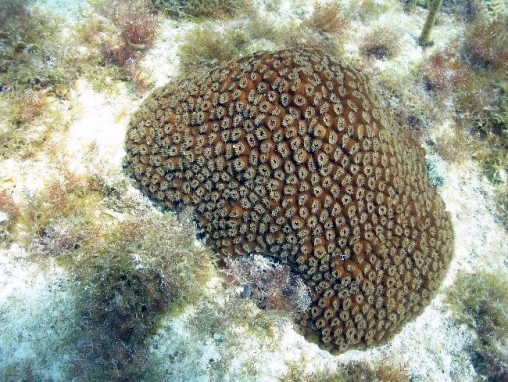 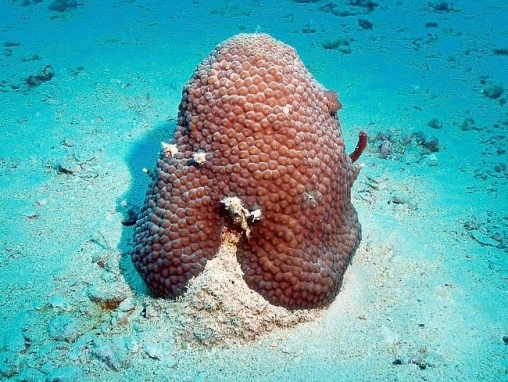 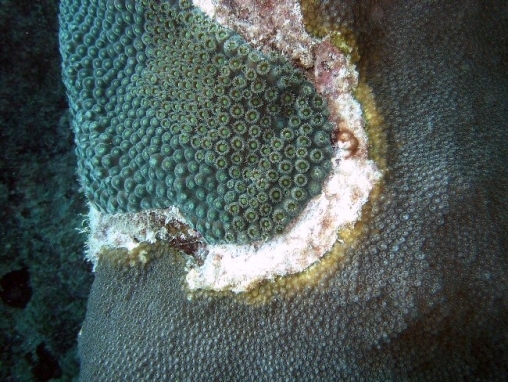 This species has a wide range of colour, and centres commonly have a contrasting colour to the rest of the coral.